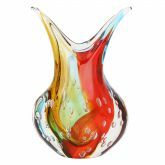 This fabulous Murano Glass Vase is modern and unique, yet it follows a thousand years of Venetian glass-making tradition. 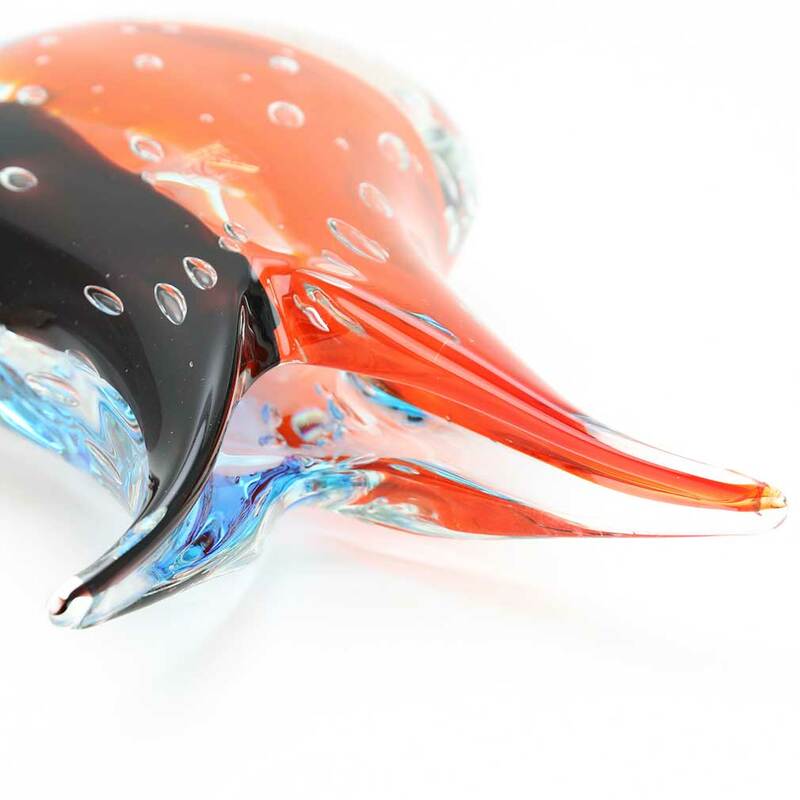 The vase is crafted in one of the famous Murano glass workshops by the masters whose lineage goes back over a hundred years. 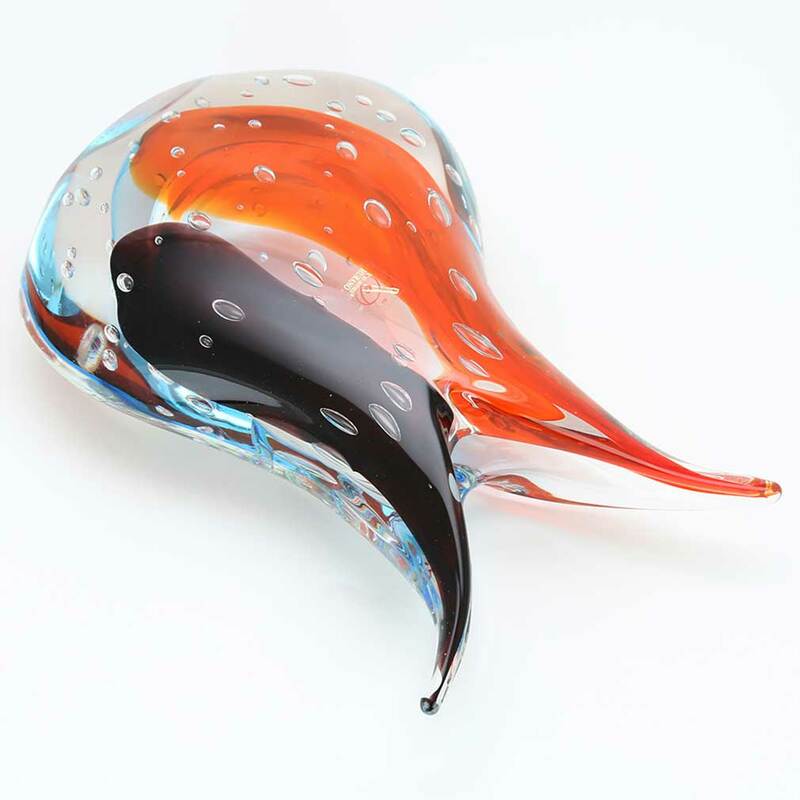 This is a wonderful display of two glass-making techniques: the Sommerso technique and the Bullicante technique, both invented by Murano Glass artists in the 1930's. 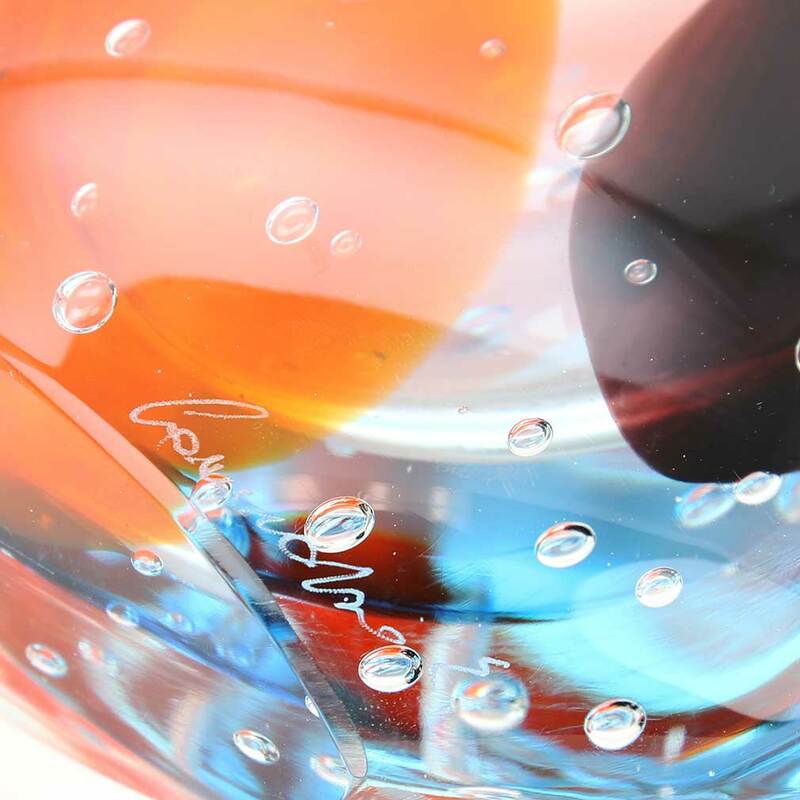 Sommerso technique is based upon submerging glass of one color in layers of glass of another color, while Bullicante is putting evenly spaced air bubbles in the glass. Both techniques require virtuosity and precise skill and they are used by discerning designers and artists for decor of modern luxury with Italian flair. 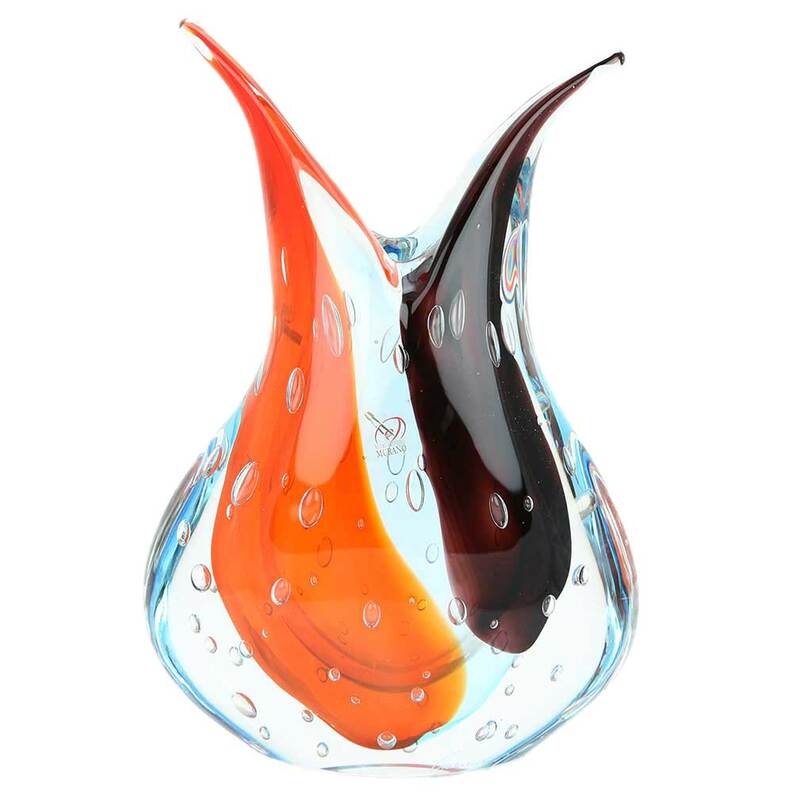 This Venetian vase features unique shape mixing traditional curves with Murano's spiky fazzoletto style, and the tender yet rich color palette makes this vase an instant conversation piece and the highlight of any room. 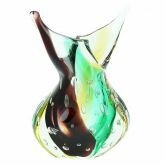 The pattern of bubbles throughout the glass add to this vase's artistic elegance and rare beauty. Despite its fragile look, this vase is heavy and substantial, sure to become a family heirloom lasting through generations. 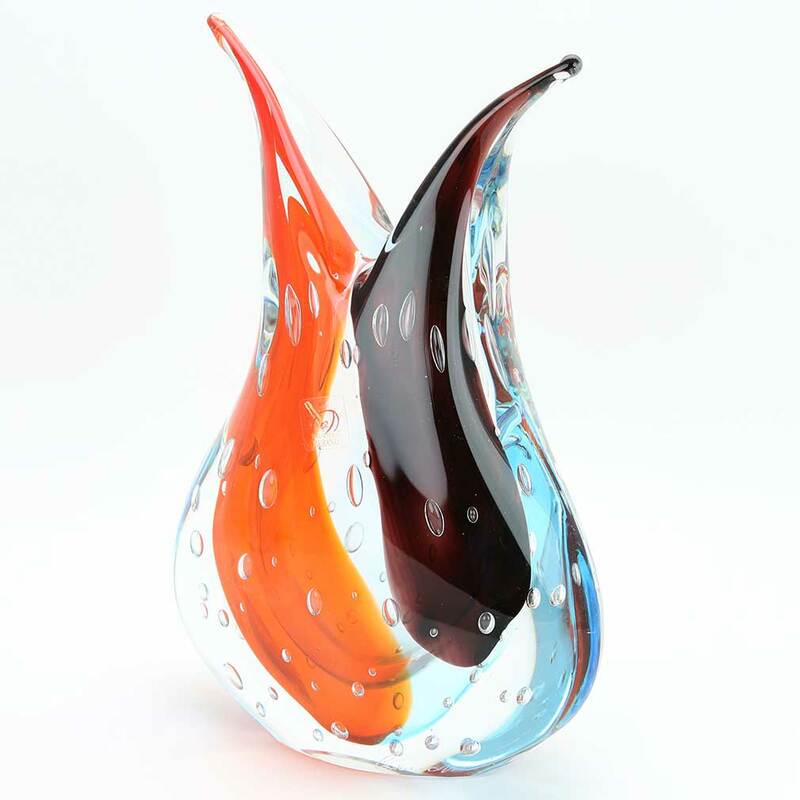 Classic and trendy at the same time, this vase makes a fine and unique gift for momentous occasions such as birthdays, anniversaries, or weddings. 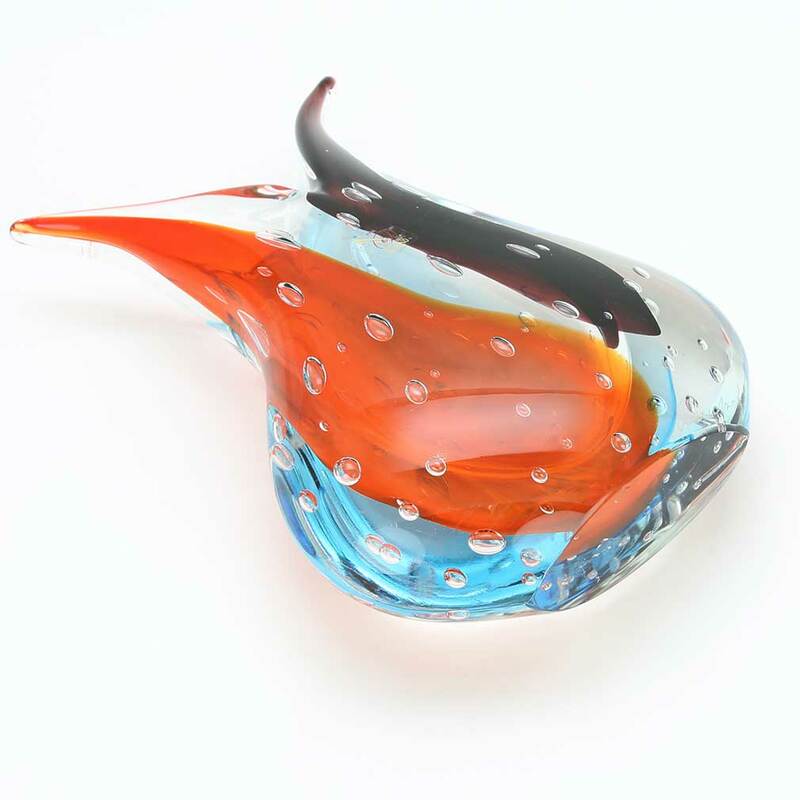 Measurements: This art glass vase measures 11 inches in height. It is 7 inches in width in its widest part and 3.5 inches in its narrowest part. It is very well packaged to avoid damage in transit. 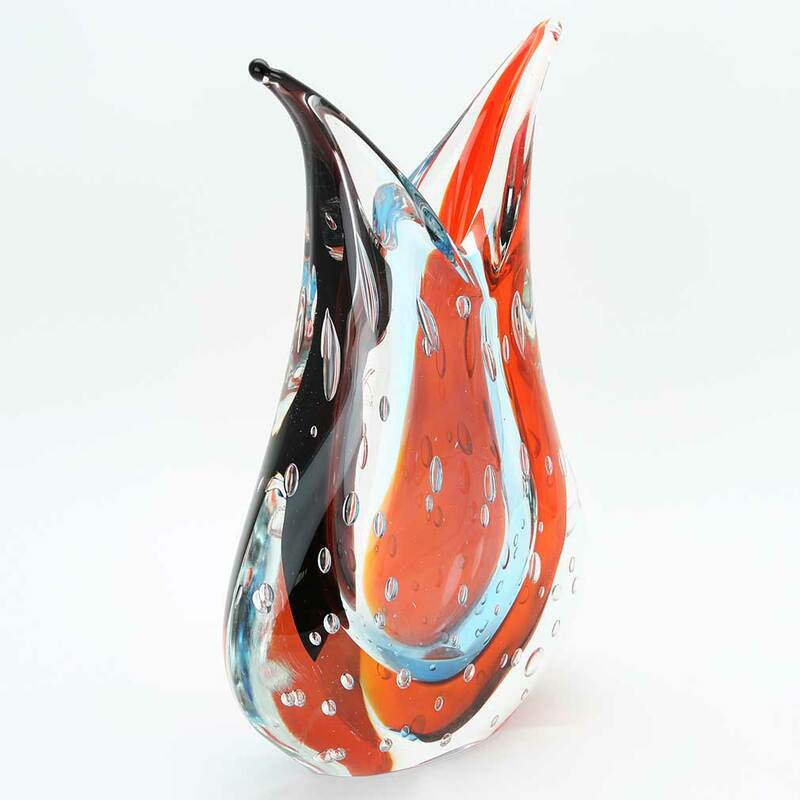 Authenticity: Vase comes with the signature of the glass artist, the sticker of Murano's official Glassmakers' Consortium and the certificate of authenticity. As this vase is a unique piece of art made by hand, some variations of colors and patterns as well as random bubbles inside glass are possible and serve as additional assurance of the authenticity of this Venetian vase.